Doesn't this look like fun? 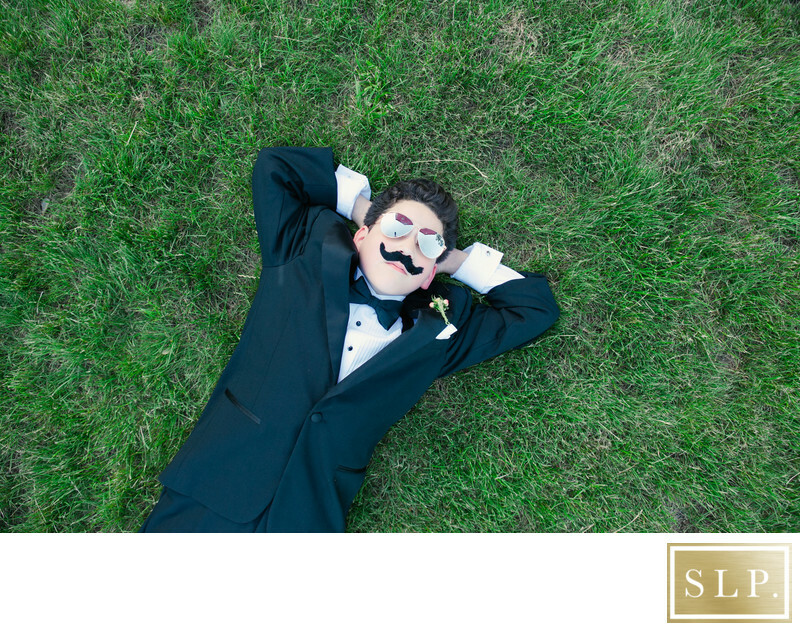 The bride's little brother decided to chill out during some of the family formals we were doing on the lawn of The Manor House at Prophecy Creek. The sunglasses and mustache make it even better. It was a beautiful June day in Ambler for Kathy and Sean's wedding. This is a beautiful venue just outside of Philadelphia, Pennsylvania. I was so grateful and thankful to be a part of this beautiful wedding. No details were missed. This photo makes me smile every time I look at it. I love capturing small moments like this that might otherwise have gone unnoticed. It's my job to document all the emotion of your day and that includes all your guests and bridal party as well. The grass was so green and perfect at The Manor House at Prophecy Creek. I love traveling for weddings. Having lived in Philadelphia for a while and going to college at Drexel, it was so fun to get back up to the area for a wedding. As time passes, your wedding images become even more important to you than you could imagine. I love what I get to do! If you are looking for a wedding photographer around Philadelphia, I would love to hear from you! Location: 205 West Skippack Pike Ambler, Pa. 19002. Keywords: Philadelphia Wedding Photography (3).